The vegetable knife is an all-round artist, meaning that it has mastered various techniques, from cutting to peeling. These knives are a real help, day in, day out, which nobody with a passion for cooking can be without! Nobody can deny that vegetables are at the heart of a healthy diet. Having a vegetable knife to hand at all times will save you from spending too long slicing and peeling. The sharp blades and the special design help you out when it comes to these time-consuming tasks. More time to concentrate on the real job at hand! Vegetable knives have a very particular design. They are among a very small number of knives with a completely straight-edged blade. The back of the blade is curved but as a whole is rather narrow. Vegetable knives tend to be relatively short at a length of around 8 or 9 cm, but models up to 18 cm in length do exist for larger vegetables such as cabbages. Their handles are ergonomically designed so that they feel comfortable in your hand even when performing more awkward tasks. The WMF online shop also offers knives that have been seamlessly processed as well as those with a solid plastic handle, for example in the Grand Gourmet collection. Vegetable knives will win you over with their versatility. They give you the best support when preparing any kind of vegetable, whether you're cleaning, peeling or cutting them. To make peeling rounded fruit or vegetables easier it is worth investing in a parer, which is also a kind of vegetable knife. It has a narrow, beak-shaped blade that is bent downwards, which will enable you to peel with ease. In this way you can save time and use all of the flesh of the fruit. Slice and peel like a true professional! Only high-quality materials are used in the manufacturing of WMF vegetable knives. The combination of the most modern precision technology and traditional forging techniques create knives that are extra durable and extra sharp.  Whether utility knives, bread knives or vegetable knives, you can always count on WMF's sharpened blades. Have a look in our online shop and find out which model is the right choice for you!